Bhubaneswar : An Odisha resident last week gave birth to conjoined girl twins, who share a single heart and a liver, doctors treating them said on Monday. The two girls -- Ganga and Jamuna -- were born on Friday evening in a private nursing home in Nayagarh district, and have since been admitted in Sishu Bhawan in Cuttack. They are joined at the abdomen. 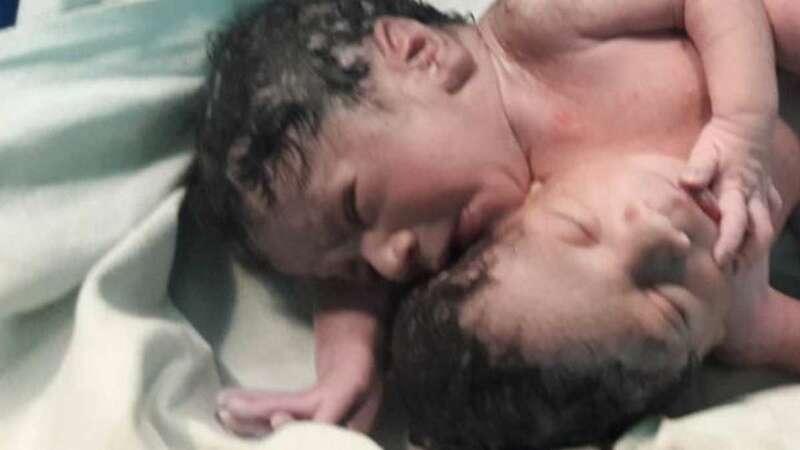 The twins, who are conjoined at their stomach, were born in Khalipatana village in Sarankula police station area.The state government has already announced to bear medical expenses on the twins. "As per a CT (computed tomography) scan report, the twins share one heart and one liver. There is a strong suspicion that the heart is not functioning properly," Sishu Bhavan's Paediatrics Department head Saroj Kumar Satpathy said. He said an operation to separate the conjoined twins at present would be risky. "Further tests will be conducted, given the case's complexity. Under the present circumstances, chances of operating on them to separate them are less and it will be risky. A team of doctors observing them will take a call on the operation after a couple of months," Satpathy said. The Odisha government had borne medical expenses on craniopagus twins Jaga and Kalia -- joined at the head -- from Kandhamal district, who are undergoing treatment at the All India Institute of Medical Sciences in New Delhi after their separation through surgery. They were separated on October 25, after a marathon surgery that lasted for over 11 hours.